Date: 8.04.2018 | Dance, Disco, Reggae, RnB, Pop, HipHop | Tags: Mastermix, Pro Disc, Music Factory, Chvrches, Ed Sheeran, Kylie Minogue, Raye, Sean Paul, David Guetta, Paloma Faith, Demi Lovato | Download Mastermix Pro Disc 214 April (2018) for free. The number one new music album for professional DJs. 22 new releases including latest offerings from Michael Calfan, David Guetta, Years & Years, Marshmello & Anne-Marie. Perfect for the DJ who wants to play the latest hits in radio edit form. All tracks are expletive free. Mastermix have produced exclusive mix content for radio stations across Europe. Mastermix boasts a highly-skilled team of producers who are all professional working DJs. Our music range covers new and forthcoming music Pro Disc, The Chart, innovative productions DJ Beats and retro hits Classic Cuts, Number Ones, Grandmasters. 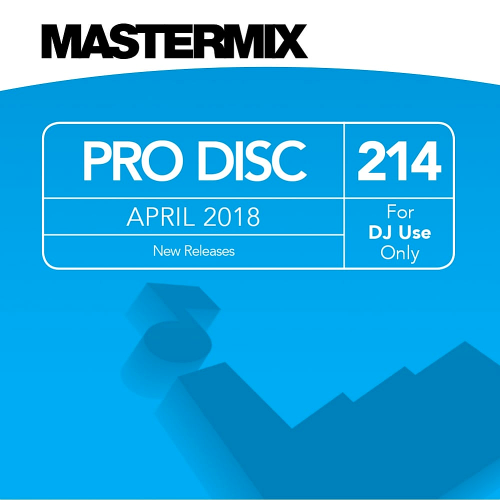 Compilation Mastermix Pro Disc 214 April meeting in the huge amount of tracks on each day and the mood, and maybe the same attitudes and beliefs!